Shanti Parva of the Mahabharata mentions Shivarathri. King Chitrabhanu could remember his previous birth. The king said to sage Astavarka: "I was a hunter in Varanasi, by name Suswara. One day, after hunting I was not able to return home after dusk. I bundled the deer I had shot dead and tied it a branch on the tree and took shelter on a bael tree. As I was unable to tolerate hunger and thirst, I kept awake throughout the night. I cried for my of my wife and children who were starving. To pass away the time, I was plucking the bael leaves (bhilwa patra) and dropping them down. I returned home next morning. I bought some food for myself and for my family by selling the deer. I was about to eat, a stranger came to me. The messengers told me that there was a Shiva Linga at the bottom of the tree. The leaves I dropped and the tears I shed for my wife and children fell became pooja and abhisheka for the Lord. Also, I had observed a fast. Consequently, I lived in abode of Shiva for eternal years. Now I have taken birth as Chitrabhanu." Hindus while performing fasting abstain from meat, spicy dishes, alcoholic drinks and live on fruits and milk. Some people do fasting throughout the day and have food only one time on the day. There are some festivals which require fasting and being awake throughout the night. 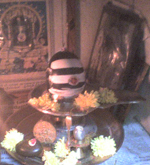 Shivaratri is a festival of fasting. Sanskrit word for fasting Upavasa, means staying near (to God). Fasting is considered as penance (tapasya) for establishing a close bond with God. Some consider fasting a a means of 'cleaning the body'. Such a fasting has no relevance to religious believes. Fasting instils humility and discipline, as a man will be more creative and organised. The second reason was to use these fasting days as a form of 'body cleansing'. Fasting also helps to share food resources among the poor. Sri Lal Bhadhur Sastriji advocated skipping the meal on Saturday nights, so that the food grains would be available to poorer classes. In Hinduism, fasting is much flexible and optional. One need not have to be too strict as in Jainism or Islam. The food habits are individualistic. The unwritten rule is that the heavy food in the stomach should not deter you from concentration and worship. If a strict fasting causes migraine, then you will have to eat some fruits and nuts. Fasting should be associated with prayer. Mahatma Gandhi used fasting as non violent measure aimed at conversion of heart. Fasting was practiced in both the Old and New Testament times. Muslims fast for 30 days, breaking each day in the month of Ramadan. Prophet Mohammad (Peace be upon him) had done this fasting. Jesus spent a long time in fasting and prayers. Fasting on religious grounds has real power. "They sought the Lord before going into battle but, they failed. The next day they prepared for battle not only with prayer, but also with weeping before the Lord. In spite of that, they once again lost the battle. Finally, they decided to seek God's guidance not only through prayer and tears, but through fasting as well. God showed them His will and consequently gave them victory" (Judges 20). Fasting has got its real power. "They sought the Lord before going into battle but, they failed. The next day they prepared for battle not only with prayer, but also with weeping before the Lord. In spite of that, they once again lost the battle. Finally, they decided to seek God's guidance not only through prayer and tears, but through fasting as well. God showed them His will and consequently gave them victory". (Judges 20). Shiva represents the Sun says, Rudraprashna. Since Atma illuminates the body, Sun is known as Atma. Parvati, his Divine wife represents Moon and the creation. This is the unity of Shiva and Shakti which bring out the whole creation. As Rudra, he brings the destruction that is necessary for new beginning. Shiva bestows simplicity, courage conviction and great endure. Bael leaves are very sacred as they remind that God is above the three gunas and used in the worship of Shiva. The worship continues throughout the night till next sunrise. Special pooja with Rudrabhishekha and Homa are conducted in all Shiva temples. If it were to be perching on a tree throwing some leaves and water unwittingly, it would be very easy to please Shiva! The story is symbolic in nature. The hunter's birthplace was Varanasi. Ajna Chakra (the base of knowledge) is referred by the name Varanasi. The sadhaka, in this case hunter, was knowledgeable. And he was hunting for worldly desires and pleasures. Suswara (having pleasing voice) was his name. This humility comes from the knowledge. He had bundled up his desires and needs. Then he started climbing the spiritual tree. He cried for the well being of the universe and not for himself. He had sublimed himself with meditation and fasting. The bael leaves have three shootings in them, representing three gunas, satwika, rajasika and tamasika. He threw all his egos born out of these gunas back to God, as God is known as Trigunaateeta. The vision of God dawned in the morning. Yet, driven by his vasanas (inclinations from previous births), he carried his bundle of desires. He recognised himself as a stranger. Even then, he had little amount of ego left, in the form of the food he took. Due to this, after a blissful state, he returned to a better form of life. A survey conducted by the Centre for Environment and Food Security (CEFS) on hunger in the rural areas of Rajasthan and Jharkhand is shocking. 90% of the suffer chronic hunger. In my beloved motherland, about 350 million Indians go to bed without food every night. Even more than 60 years after independence, out of its nearly 1 billion population, more than 350 million are below the poverty line. The growth of the middle class population indicates that economic prosperity has been very impressive. Unfortunately, distribution of wealth has been very uneven. Our brown British babus are trying hard to help hunger-ridden poor people while sitting in their cozy star hotel like chambers. One such babu spent several lakhs to furnish this two room chamber. He was not receiving any foreign dignitaries! There were only two visitors – his boss in Delhi and another brother brown babu in the same station. Tax payers money went down the drain! How can a man who does not fast understand the tears of poor people? Mother Theresa never used a table or a cot or an air conditioner. Her room was as simple as that. I do not mean the government should not spend for decorum, but the babus should think twice before spending poor man's wealth for their fancies. Jesus said, "So too when you fast, do not look gloomy like the hypocrites: they make their faces unsightly so that other people may see that they are fasting. I tell you this: they have their reward already. But when you fast, anoint your head and wash your face, so that men may not see that you are fasting, but only your Father who is in the secret place; and your Father who sees that is secret will give you your reward" (Mathew. 6:16). Fasting, abisheka and pooja for Lord Shiva are conducted throughout day and night. In some temples, Rudra Homa is also conducted. Homa is a religious function where the rudra mantras along with some other mantras are used to offer ajya (cow ghee) and poornahuti (roots, herbs of many ayurvedic plants, silk cloth, coconuts etc) in the burning fire. 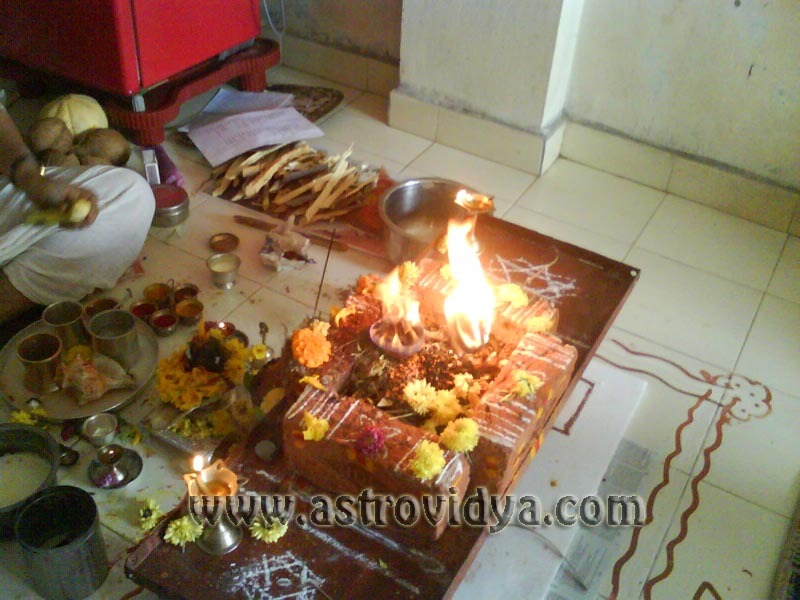 Generally, people conduct Ganapathi Homa and Vastu Homa when they inaugurate a new house.